While you are trying to reach to a shiny new 4K, 8K resolution (7,680 x 4,320) is coming soon with 4 times that of 4K (3,840×2,160). Here comes the question if we can actually be able to play 8K movies on iMac or PC. Well, there indeed are factors needed to be considered and problems to be solved but the answer is still yes if you get a best 8K Player on computer. In this article, we will list 2018 top 5 8K Player reviews so that you can pick a best one. It is a powerful yet professional player for Windows and Mac. With this 8K UHD player, you can play 4K/5K/8K videos at any format without choppy or other issues. --Support HD/4K/5K/8K/ MP4, MKV, MOV, AVI, FLV, WMV .etc common video medias as as well as Blu-ray/DVD files for playback. --Make animated GIF file during playback for sharing to have more fun. --Record videos on the screen. VLC player is known well as a free media player. According to its update history in 2013, it allows uers to input 4K videos encoded by virtually all codecs for playing. Althouth some VLC users said that 4K video is choppy or lagging, it is still a choice for 8K videos playback. Besides playing video files, this powerful player does have attractive functions of converting video files and rip DVD/Blu-ray/CD discs to MP4, WebM, TS, MP3, FLAC, iPhone, iPod, Android and YouTube. 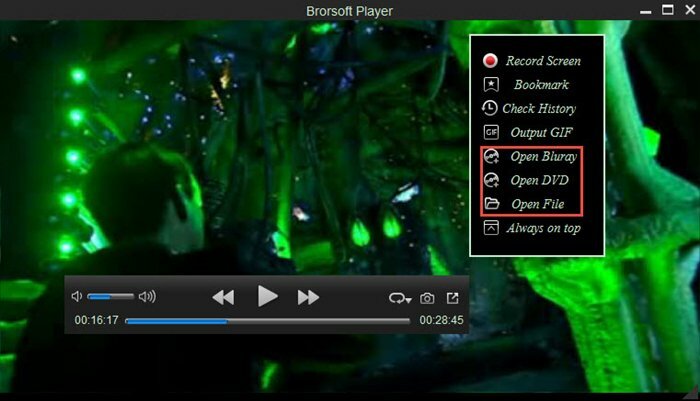 It is a media player for many file formats support like VCD, DVD, RealMedia, FLV and QuickTime and many more. This professional player is able to support 3D, 2K, 4K & 8K UHD, so you can freely enjoy video or movies of 8K UHD directly on your computer. Remember to customize it when starting the installation. Otherwise, potential virus will get along with you. The latest version of this Media Player Classic sould offer 8K video playback on the newest Windows 10 or older versions. Of course, it is free and able to support almost all common video and audio file formats. 5KPlayer is a powerful Media Player that comes packed with amazing features like AirPlay Service, Hardware Acceleration, YouTube downloading & more. This player can run on Windows 10/8.1/ 8/7/XP, or Mac OS X EI Caption and Yosemite. This is a comprehensive comparison of 8K video players for high quality visual experience. Do make wise choices and hopefully you can find the most suitable high definition video media player you want.